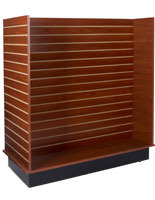 This slatwall fixture provides 48 square feet of display space! 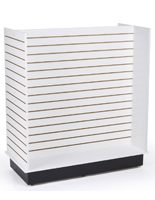 We include these slatwall fixtures in our in stock, display fixture selection! 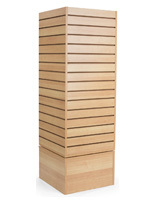 The slatwall fixtures feature an overall footprint is approximately 4' wide x 54" high. 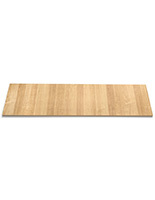 The kick base is around 6" high and helps to raise the unit off the floor. 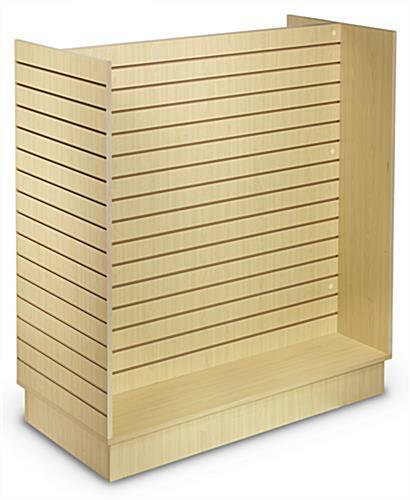 The slatwall fixtures are excellent candidates for displaying clothing and garments, apparel accessories, sporting goods, and electronics, among others. 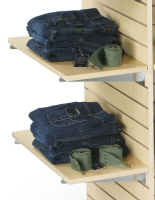 You'll need to purchase hanging accessories like hooks, bins, and shelves separately (see link to page below). 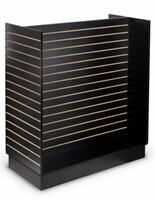 Buy these professional display racks for your establishment, you will be impressed with their quality! Please Note: Accessories for this display are NOT included with the purchase.